Rachel of the Hungry Hundred Book Club selected this mammoth Chinese classic for discussion at the end of January 2018. 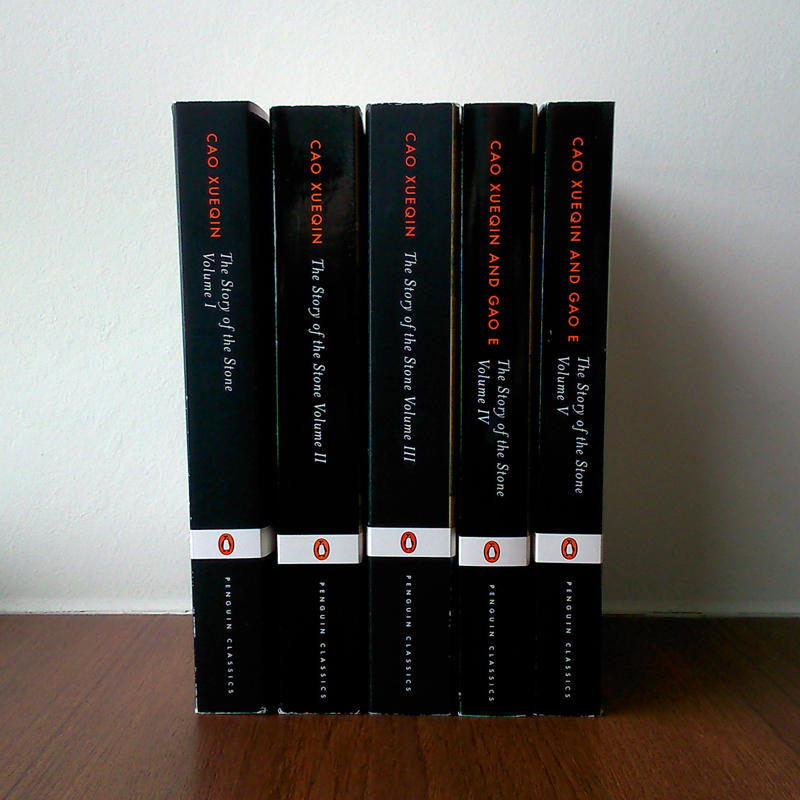 I bought the five-volume Penguin paperback edition and the 64-page illustrated version published by Real Reads. Below are the results of my research into the different available English translations. A complete English translation (120 chapters) called The Story of the Stone, translated by Hawkes and Minford, was published by Penguin in five volumes (copyright 1974–1986). Penguin published a 96-page extract from this version in 1996. A complete English translation (120 chapters) called A Dream of Red Mansions, translated by Gladys Yang and Yang Hsien-yi, was published by a Chinese publisher in a three-volume hardcover set, three paperbacks sold separately, or a four-volume paperback set (copyright 1978). Some of the Yang/Yang translations say that the authors are “Tsao Hsueh-Chin and Kao Ngo”. Those are just different spellings of “Cao Xueqin and Gao E”. Daiyu mourns fallen flowers (illustration by Shirley Chiang). 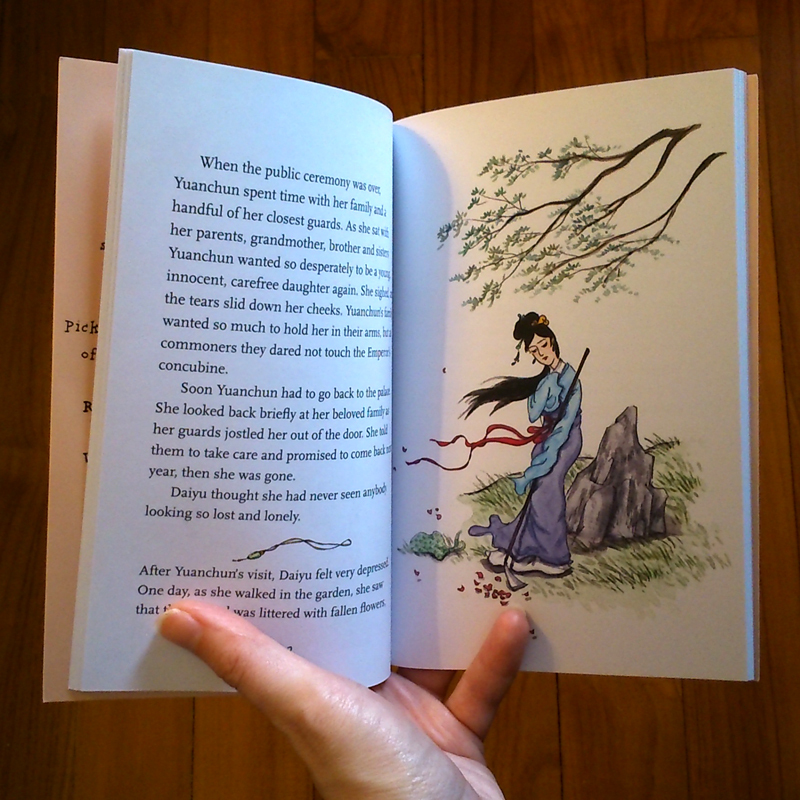 A British company called Real Reads published a 64-page illustrated retelling of the Chinese classic by Christine Sun, illustrated by Shirley Chiang (copyright 2013). There’s a 56-chapter partial translation by Henry Bencraft Joly. Since the text was first published in 1892, there are no copyright restrictions. The text is available in a variety of paperback and ebook formats, including a free download from Project Gutenberg. 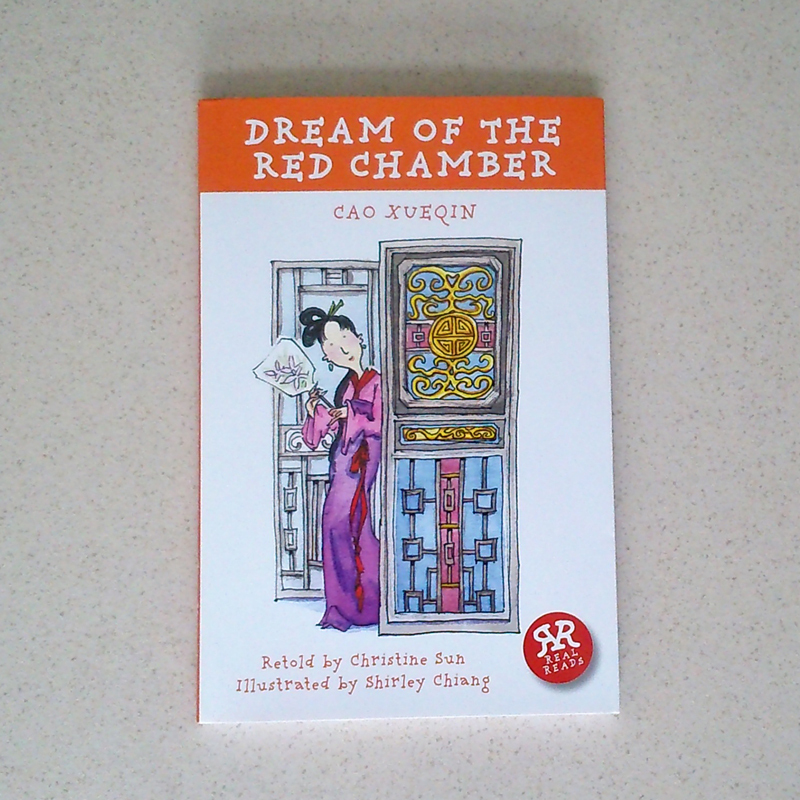 There’s a 60-chapter abridged version by Chi-Chen Wang available in one paperback volume (copyright 1958).